The American Pointer is a breed developed in the United States of America back in the nineteenth century, during the Civil War. The roots of this breed point to Spain and it is closely linked to the English Pointer. Even though it requires a certain level of effort and time for the best care, the American Pointer definitely pays off, being an excellent pet, ready to receive and give love. They are also friendly with children and other pets. A very active dog, the Pointer needs to receive a proper training from an early age, in order to learn obedience, as they are known to be not quite fond of strangers and guests. Unpleasant behavior can be avoided if they are kept in a more isolated area while guests are on the premises. The American Pointers require consistent daily exercises, as they have consistent energy reserves which need to be consumed. 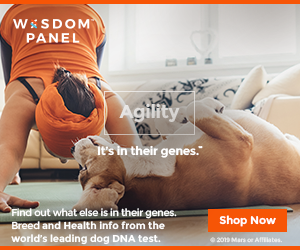 Because they were designed for having a lot of running every day, having them as house pets will automatically explain the need for the intense physical exercising without which his energy may be directed in unwanted behavior. However, if his needs are satisfied, the American Pointer will be an excellent, proud and loving pet. This dog is an absolutely beautiful and well balanced animal. It’s easy to notice how proud a dog the American Pointer is, when watching him walk. He moves alertly, holding nothing back, having the aura of a really devoted and loyal companion. In height, an adult male can reach up to 70 centimeters, while females will only make it up to 66. It is approximately the same with the weight, the males being heavier, able to reach weights of about 35 kilos, while females can gain no more than 30 kilos. In general, all American Pointers are fairly proportionate. These dogs display pronounced features, from the pointy, soft, thin ears, the dark eyes almost aligned with the ears, the strong chest and sprung ribs allowing and favoring the running, to the short haired tail, which is a bit more solid at the root and taper at the tip. The coat is short and soft and usually comes in white color combined with lemon, black, orange and liver markings at times. History of this dog tells us that originally this breed came from Spain and at a later point migrated to Great Britain, at the beginning of the eighteenth century. 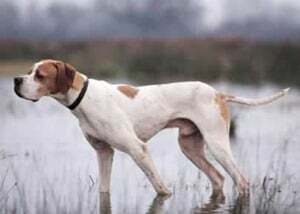 The American Pointers were born when the Spanish Pointers were mixed with the Italian Pointers and this took place during the Civil War when they arrived along their masters. The background of the Pointer is that of an excellent hunter for birds, also having good abilities as a retriever.